1. Cut tulle into 30″ squares and then layer on top of each other. 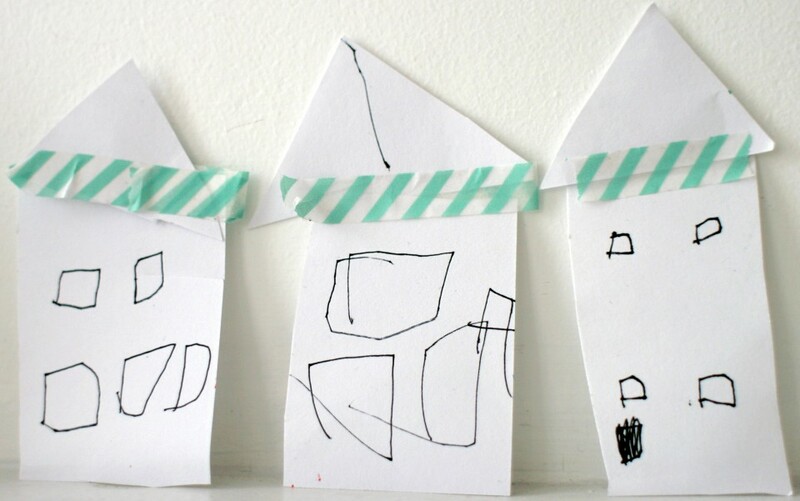 (You can make larger or smaller squares depending on the size tutu you want). 2. Fold tulle pile in half. 3. Trace a half circle onto the top layer of tulle and a smaller half circle within, using the fold as the center of the circles. (Our large half circle is 15″ from center to outer edge and the smaller inner half circle is about 4″ from center to outer edge). This will leave a rainbow shape. The distance from the outside of the large circle to the outside of the small circle will be the length of the tutu. The center semi-circle is half of the opening. 4. Cut out circles and unfold tulle. You will now have a doughnut shape. The opening should be large enough to easily fit over the wearer’s hips. If it is too tight, refold and cut out a larger opening. 5. Measure wearer’s waist, add an inch and cut elastic to this length. (I left extra elastic to enlarge as Ada grows). 6. 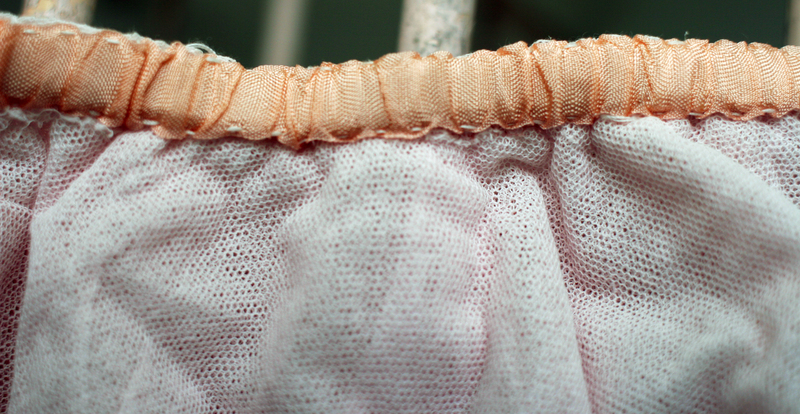 At opening of tutu, fold 1/2″ of the all the layers of tulle together toward inside and baste with needle and thread. 7. Stretch elastic and baste onto folded edges of opening. The elastic will gather tulle and cover the rough edges as you sew it down. 8. Stretch elastic again and sew seam binding over to hide elastic. This will ensure both the rough edges of folded tulle and elastic are hidden. 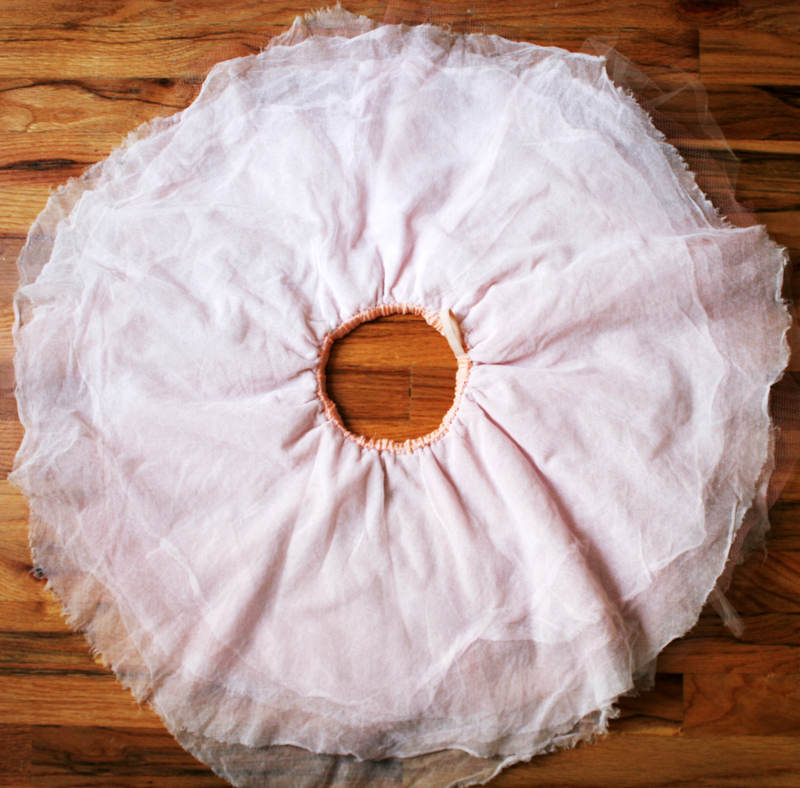 Turn this seam binding to the inside of the tutu. 9. Prepare for the show. I needed these directions when I was I was making a tutu for my 27 year old daughter last Halloween. She dressed as the Black Swan for a party. Mine didn’t turn out nearly as well. Oh well.